Did you know why your Android phone is hot? Definitely, you might be thinking it is from your phone which is not always so, but it may be caused by you. Android phone overheating is one more reason why your battery may stop lasting so long or swell up. 1 . Wrong pouch: make good sure to use compatible pouch for your Android phone , because wrong pouch may cover the ventilated area of your phone and this may leads to air blockage and later causes over heating. 2 .Incompatible chargers: smartphone users often use chargers that are not compatible with their device. For instance, Android phone users always go for BlackBerry chargers as their second option when they want to power their device not knowing that these chargers can be too effective (charging but the phone is hot) or not effective enough (charging slow and phone operating by itself) for the phone. 3 .Running too many heavy apps at a time: Running too many apps too many processor intensive ones at a time will enhance the CPU load, inflicting the device to heat up. For instance, Browsing with Opera mini with more than 5 tabs open, chatting with friends on WhatsApp and BBM, and with different messages pop-ups in several occasions. Not to talk of your phone Autorun Apps like Play Store, Flash Share, etc. 4.Pressing phone while charging: Most of us can’t just let go of our device for some hours. We are so engrossed with a chat, or the Internet, or a particular game that we charge our phones while using it. This is one other considerable reason behind your Android phone overheating. 5.Poor or no network coverage: When your phone network coverage is very poor, the Android OS is busy scanning the area for signal and this requires more battery power consumption. That’s the major reason your phone gets so hot when you are in areas with poor network. 6.Insufficient air flow: Putting the phone in your tight pocket, purse or case may trigger it to heat up mildly especially in hot weather conditions. 7 .Battery intensive processes: Battery intensive processes like screen savers especially when it’s animated or video, excessive screen brightness, switching on 3G network, Wi-Fi network and Bluetooth or playing music or video for a long time etc. may lead to overheating. This is applicable to all Android phone with low ram. Thanks for sharing this post, was not aware with some of the reasons behind phone gets hot. Keep updating. Thank you so much for sharing. I don’t have an android phone but I’m sure I can apply this to my phone also. I'm more of an iPhone user, but I guess the same tips work for me as well. I am particularly guilty of running too many power-hungry apps at once! Thanks for sharing! Never thought of your phone needing air but good to know. Also the app thing. I think it makes my battery drain so fast with all these apps open. I don’t have an Android but the tips are very helpful. 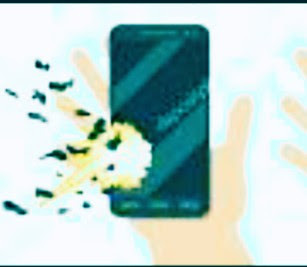 I remember a few years ago the judge from The Voice Android blew up so it’s definitely important to care for your phone appropriately. Great tips! I've made it a point to never use my phone while charging and to turn it off while charging. These are great information and thank you for sharing this with us. Now we are already know how to take care of our phone and how to prevent this thing to happen. Thanks for the handy information! As an android user, tips on keeping my phone working at its best is very helpful! I don't have an Android, but my husband does. I'll share this information with him! My android phone gets hot, more warm than hot, but I had no idea why. I'm going to ses if I can use some of your reasons why to turn that around. I do think my charger is causing it as well. It's one I use for my Kindle too. I sincerely did not know a lot of these things. I had no idea that the wifi/data coverage played in but it makes sense. that little rectangle is doing a lot when i'm not even looking at it! I'm the worst with making sure that my apps are closed when I'm done using my phone. It definitely makes my phone hot and it kills my battery. These tips are spot on. this is a great information and thank you for sharing this with us. i have android phone but it never got hot. I am an iphone user but love the tips and I think they would still apply. I will to kill some of the apps. Thanks for the post. Now, I know why my Android phone is always hot. Great information post for anyone who is holding Android phone. Now, I need to search for the compatible charger and closing all the apps behind. This is so helpful! I'm definitely guilty of overheating my phone. I'll have to show it more love. I gotta say I am an Apple phone kinda gal, but my husband is android. I don’t think he’s ever had this problem though.